Noe and Zoe have captured their classic star print and created a continuity clothing and homewear line. Stylish, comfortable and practical, the collection is comprised of monochrome prints alongside pops of pink and blue to fit into any little one's room. 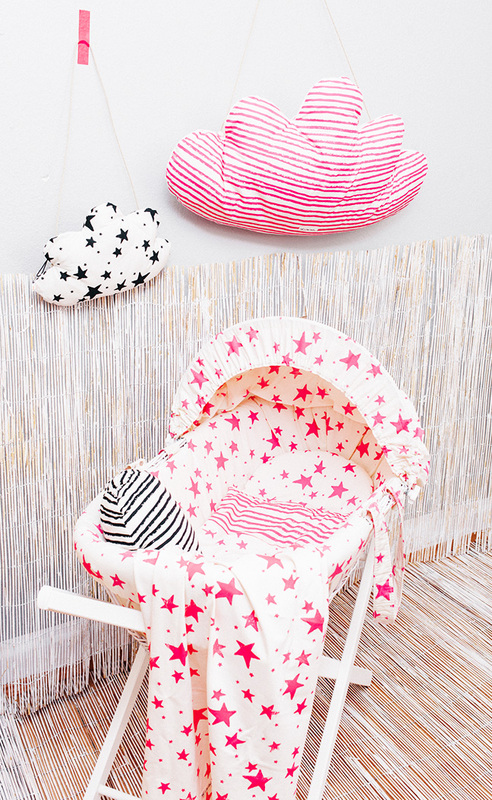 These lifestyle pieces are a staple for any cool nursery or playroom. Produced in Portugal the range comprises of baby clothing and gifts, cribs, pillows, storage baskets, swaddles and many more.